We love experimenting & concocting in our kitchen... sometimes it's even edible! ;-) I remember making this as a child & knew Minnie would have fun with this magic recipe. 1. 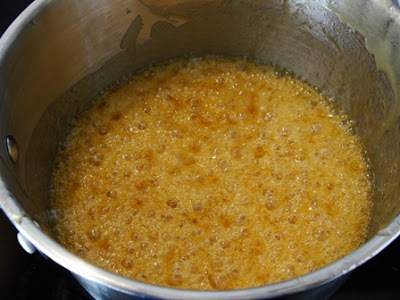 Heat the sugar & golden syrup in a saucepan over a medium heat. 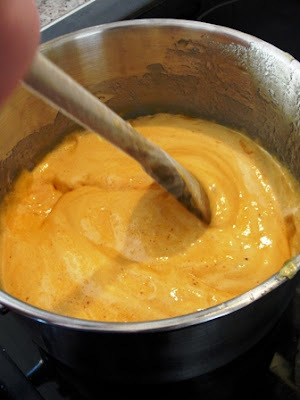 Bring to the boil & then simmer for 3mins until the mixture turns a golden brown. Minnie added the ingredients & then observed as the mixture grew hotter. 2. Remove the pan from the heat (the mixture is extremely hot at this point). Add the bicarbonate of soda & stir in well with a wooden spoon. When the mixture begins to froth up, pour immediately into the baking tin. Leave to cool. Minnie thought this was magic! She was so excited to have produced such an amazing immediate result by simply adding a small amount of bicarb of soda. And now for the science bit... When the bicarbonate of soda reacts with the heat it breaks down to release carbon dioxide, & it's this gas that creates the froth & bubbles as it becomes trapped in the mixture. 3. 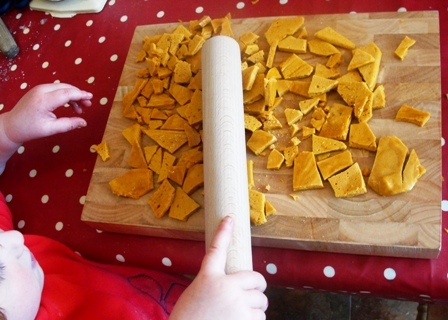 When completely cool turn the honeycomb out onto a chopping board, & using a rolling pin/wooden spoon bash tap to break into small pieces. 4. Add to an airtight container to keep it fresh & crunchy. 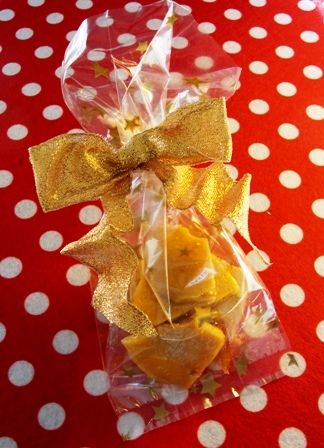 We made our honeycomb treats to give to friends, so Minnie added a few pieces to airtight gift bags & we sealed with ribbon. A great science activity & a neat way to make sweet treats to share. For an extra treat coat the pieces of honeycomb in melted chocolate & leave to cool. 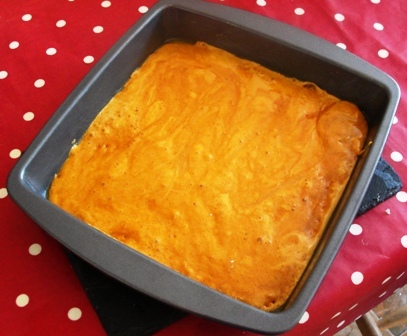 If you add melted Cadburys chocolate you can make your own homemade Crunchie Bar! Yummm!